When your clients’ displays are on every high street, refreshing store interiors is a major undertaking. It’s critical to achieve colour consistency, meet power requirements and comply with fire regulations, as well as making sure the displays are robust and straight-forward to install. 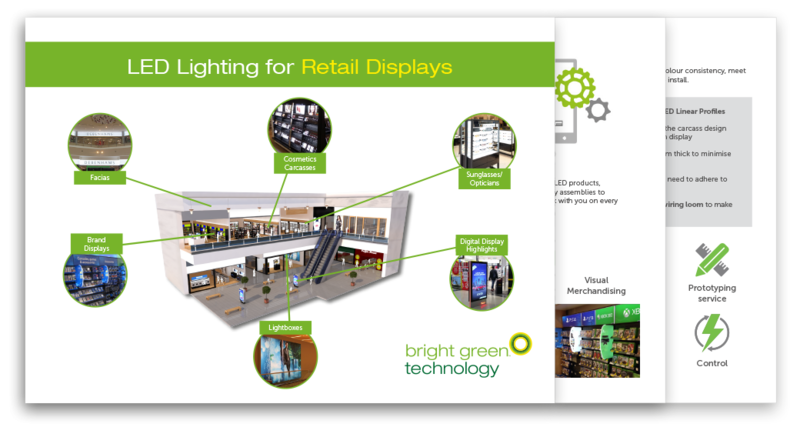 This guide illustrates how we can help illuminate your clients’ retail projects, including cosmetic carcasses, sunglass display cases and brand displays. Similar principles can be applied to almost any other retail display.